Property 8: *HOLIDAY SPECIAL * NEW SNOW - 4 MIN WALK TO SLOPES TO SKI !! Property 11: Location Location Location! Property 14: Centrally Located To All The Best The Poconos Has To Offer! Property 16: Mountain House Getaway! Property 19: Big Boulder townhouse, free Wi/Fi, central A/C, Cable, Skiing, Mountain views! Property 35: Book now & visit the biggest waterpark in PA! Air conditioning!! 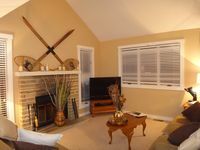 Property 37: Beautiful & Clean 5 Bdrm Town House! 2 Minutes Away from Skiing at Big Boulder! Property 40: 2BR Townhome - Jack Frost Mountain in Poconos - All Seasons! 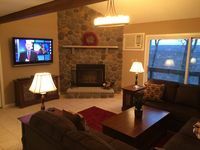 Property 46: Poconos Home w/ Deck & BBQ - Lake & Pool Access! Great for families, clean and convenient. Very comfortable bedding!